The white siding creates a modern feel while allowing the warmth of the natural wood highlights of the structure, balcony, and wood privacy screen to really shine. 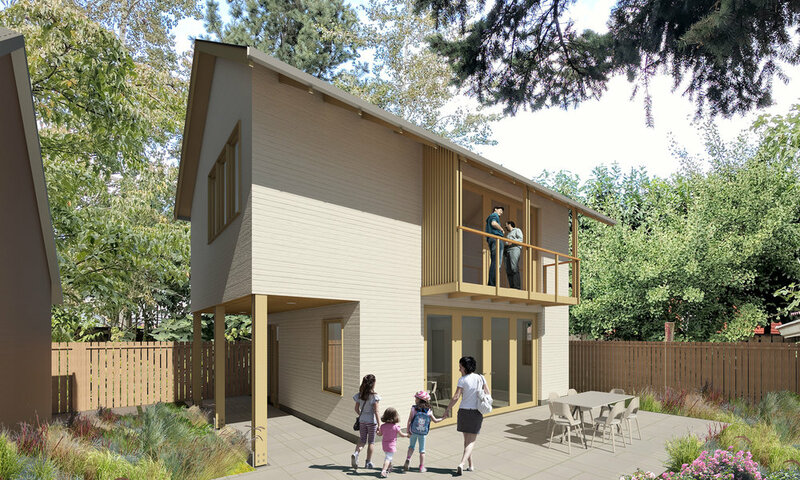 This accessory structure is unique in that the ADU is located on the second level while the ground level is reserved as a home office and bonus space for the family living in the main house. The ADU is targeted as a place for guest to stay or rented out as a short-term rental. As with all of our projects, sustainability was a primary goal of the project and we looked for ways to create a efficient and high performance design. 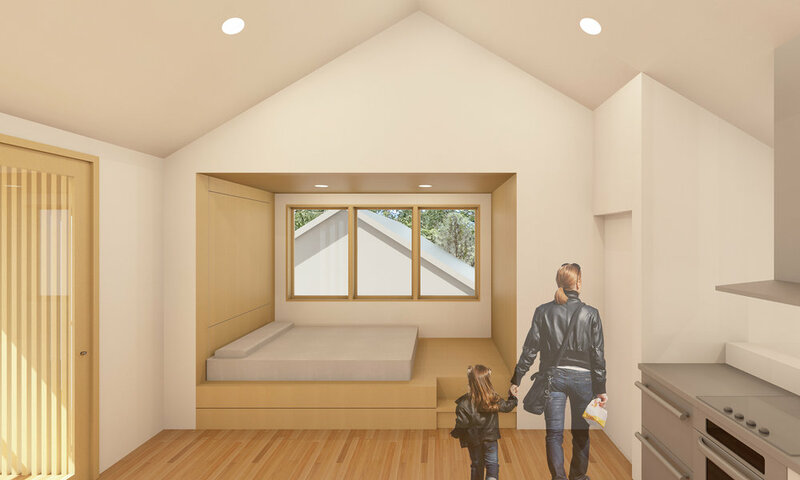 The design calls for FSC certified wood, a high efficiency ductless mini-split for the heating/cooling, extended eaves to help regulate heat gain from the summer sun, exposing the ground floor slab to make use of the thermal mass in temperature regulation, and extra insulation where possible.